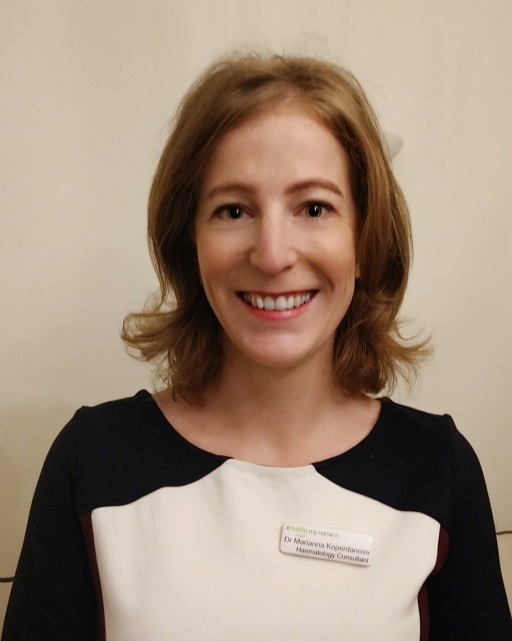 Dr. Koperdanova runs haematology clinics in Royal Hampshire County Hospital and Andover War Memorial Hospital where she diagnoses and treats wide range of blood conditions. She works as part of multidisciplinary team, consisting of pharmacists, specialist nurses to provide comprehensive care of patients. Dr. Koperdanova graduated from Comenius University with distinctions in 2005. She did her specialist registrar training in Wessex deanery. She became a member of the Royal College of Physicians in 2010 and later a Fellow of Royal College of Pathologists in 2017. She was accredited as a Haematologist and placed on the special register in 2018.